Locally sourced beef steak mince and chopped onions in a rich, flavorsome gravy,wrapped in a light short-crust pastry. Mature cheddar cheese, chopped onion, creamed potato. Light short-crust pastry wraps it in a feast of savory loveliness. It’s said that chicken tikka massala is the most popular meal in Britain. Why not put it in a pie and take it on the go.Tender chicken in a fragrant massala sauce. Not too spicy. These really are family friendly. Locally sourced pork with a hint of chilli and topped off with a cheddar cheese topping. Wrapped in a short-crust pastry case.These are just so moreish. Just add beer. Locally sourced beef steak mince in a rich, flavorsome gravy, wrapped in a light short-crust pastry. Chunks of chicken breast mixed with peas, carrots, potato and onion in a rich, herby white sauce. Perfect on its own or as a nice summer treat with salad. Everybody’s favourite cousin – it looks and tastes just like our best-selling Meat and Potato Pie, but here’s the thing – there is no meat!! Locally sourced pork in a short-crust pastry case and that all important jelly to keep it moist. The only thing we don’t supply is the pickled onion! Just called for coffee. Very nice. Must go back for a meal. Noticed a wide range of freshly made pies seemed to be very popular with the regulars. Many thanks for your really quick reply. That will be great. Our Uncle is really enjoying your excellent pies. Visited this shop when on holiday from Cornwall.These pies really are top notch. I shall definitely be using their online shop to repeat the experience." Tried the Meat and Potato and yes, you are all right The Best Meat and Potato Pie I have ever tasted. I would have liked to have sampled other pies but not a lot left! Very reasonable prices too. 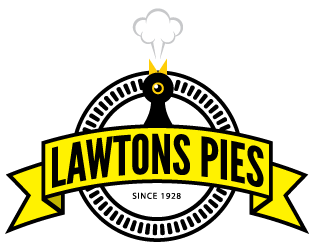 Wish we had a pie shop like this in our area!